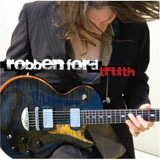 "Indianola," the second track on guitarist Robben Ford's new release, Soul on Ten (Concord, 2009). 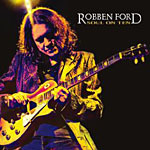 A live album recorded at San Francisco's The Independent, plus two additional studio tracks, it's a blend of Ford originals, blues standards and a couple of surprises. Supernatural; Indianola; There'll Never Be Another You; Spoonful; Nothin' to Nobody; Please Set a Date/You Don't Have to Go; Earthquake; How Deep in the Blues (Do You Want to Go); Don't Worry 'Bout Me; Thoughtless. 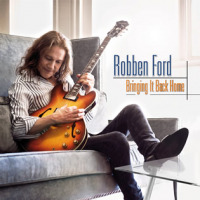 Robben Ford: guitar, vocals; Neal Evans: B-3 organ (1-9); Travis Carlton: bass (1-9); Toss Panos: drums; Larry Goldings: B-3 organ (10); Jon Button: bass (10); Karl Denson: saxophone (9).